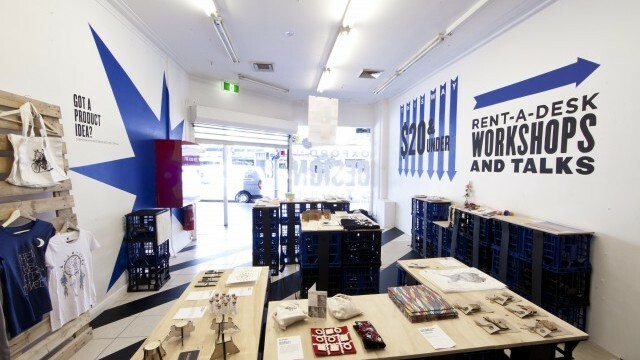 1 of 4 William Street Creative Hub. Courtesy of City of Sydney. Courtesy of City of Sydney. 2 of 4 Scale. Oxford Street Creative Spaces. Photo © Jamie Williams. Courtesy of City of Sydney. Scale. Oxford Street Creative Spaces. Photo © Jamie Williams. Courtesy of City of Sydney. 3 of 4 William Street Creative Hub. Photo © Sharon Hickey. Courtesy of City of Sydney. Photo © Sharon Hickey. Courtesy of City of Sydney. 4 of 4 Province of the Brave by Laura Pike and Annie-Louise Dadak. Courtesy of City of Sydney. Province of the Brave by Laura Pike and Annie-Louise Dadak. While the economy and demography of Sydney have changed quickly over the past decade, building and planning laws have not kept up. Modern creative enterprises find it virtually impossible to negotiate twentieth-century planning regulations. In addition, the creative sector has traditionally relied on older, cheaper buildings – particularly industrial sites left vacant by the decline of the manufacturing sector. As these have been developed into residential apartments, the supply of suitable buildings for creative space has decreased. New ‘mixed use’ planning definitions focused on residential, retail and commercial often don’t provide the right kinds of space, let alone the right rental rates, for cultural venues. The cultural sector now faces immense regulatory barriers surrounding the use of increasingly limited space. Smaller-scale and non-government-funded creative enterprises are particularly vulnerable. Almost half the cultural spaces in the City of Sydney area are commercial or non-government enterprises, and the vast majority of those are small, with fewer than 20 employees. They lack the resources to hire expensive planning and regulatory consultants, and cannot afford the same rents as retail or other commercial enterprises. Without changing its regulatory systems and strategic planning, the City of Sydney risks losing the smaller, less formal spaces – particularly those that encourage participation, experimentation and cultural production – that drive the unique, organic culture of the city. The Creative Spaces and the Built Environment project has two aims. The first is to understand the needs of small scale creative enterprise – the types of buildings they need, the market conditions they operate in, and the way they use space. 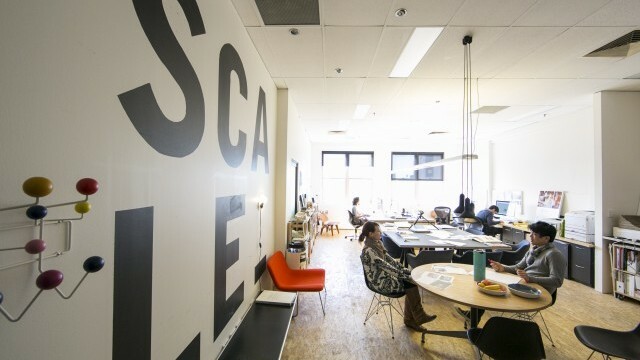 The second is to identify and utilise the City of Sydney’s policy levers in order to make life easier for creative enterprises in need of space. The project began in 2015 with a public forum bringing together representatives from across the cultural sector, for and not-for-profit enterprises, as well as planners, building surveyors, fire engineers, disability access experts, policy makers, urban designers, artists and creative workers. Through panels and workshops, the forum examined a series of case studies, allowing participants to identify the various regulatory barriers and potential solutions. The resulting discussion paper, New Ideas for Old Buildings, was followed by targeted workshops with key regulatory experts to give a ‘ground up’ understanding of how to better plan and regulate creative spaces. In September 2015, the City of Sydney undertook a pilot project with the Sydney Fringe Festival to help test potential solutions in the real world. The project looked at the possibility of opening five vacant shops or ‘alternative spaces’ as performance spaces during the festival. In the end, regulatory challenges meant that only one space was used during the festival – and it did not host performances. The report found that “the current landscape of regulatory red-tape makes it virtually impossible to establish new small-medium sized performance focused spaces in an economically sustainable manner.” It recommended the creation of new regulatory pathways, particularly around temporary use. In 2016, the City established a team of specialist staff to review the findings of the Creative Spaces and the Built Environment project and implement necessary reforms. The team has representatives from nine different divisions within Council, related to cultural policy, economic development, strategic planning, planning approvals, building approvals, environmental health specialists (such as noise and liquor licensing), risk management and legal staff. Cultural policy has been historically disconnected from regulatory and planning policies. 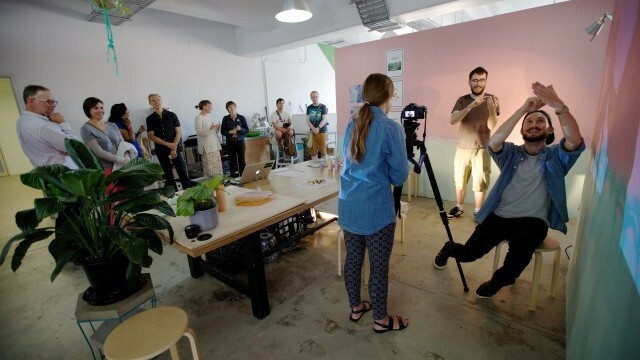 Through this project, the City of Sydney is aiming to bring them closer together, building a regulatory framework designed specifically for small and medium scale creative spaces. 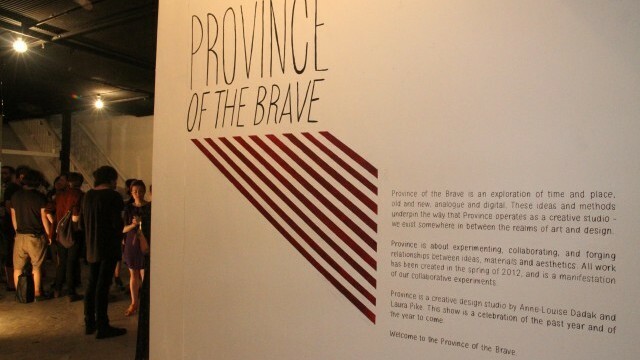 This is a difficult process as it requires an understanding of the risk profiles, business models and socio-economic conditions conducive to creative space. Little research has been done in this field – therefore much of the City’s work to date has been gathering together case studies in order to fully understand the land use behaviours of the cultural sector. The City of Sydney is currently preparing a suite of regulatory reforms to be submitted to Council for review in mid-2017. It is also developing a Cultural Infrastructure Evaluation to guide the creation of a more comprehensive strategy in 2018, and to measure the impact of regulatory reforms. • The biggest positive outcome of the project to date has been bringing together the right mix of staff members needed to pursue regulatory changes. While lacking the glamour of a policy announcement or major reform, this group has proven to be vital in taking the project forward. • Having an existing evaluation or assessment of the number or type of cultural space in the Sydney area would have made the project much more straightfoward. The City of Sydney knew from its own informal audits that the number of artist-run galleries in its local government area had almost halved in the past ten years, but couldn’t readily map the decline of other cultural spaces. New sector mapping is now being undertaken to help identify the impact (negative or positive) of particular policies. • Traditionally, cultural and arts policies have been confined to a limited array of policy levers – particularly funding and investment in arts infrastructure. However the City of Sydney has concluded that it can’t either fund or build its way out of these problems. Investment in events and short term activations do not inherently produce adequate employment or workspaces for creative workers, and there is not a simple causal relationship between major art spaces and local cultural participation. Therefore has moved away from the idea of ‘culture’ as something it can deliver, instead focusing on creating a policy framework that helps to facilitate cultural production in Sydney.